We believe each employee has a strong sense of ownership for the work that they do, and the work of CEP as a whole. Strengths of CEP’s work culture are entrepreneurialism, accountability, teamwork, collegiality, diversity, and mutual respect. 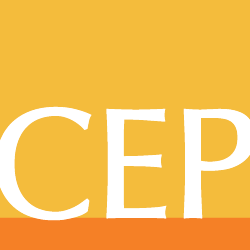 For more on CEP’s work and mission, watch this brief video here. We have a passionate commitment to the missions of CEP and YouthTruth. We are committed to a diverse, equitable, and inclusive work environment. We thoughtfully and respectfully say what we mean and we mean what we say. We’re a group of friendly folks that enjoy each other’s company. Our people are our greatest asset. We are a group of high performers doing high-quality, meaningful work with a commitment to excellence. All of us have an important and valued voice, and we believe that great ideas come from across the entire organization. We have a culture of genuine care, concern and mutual respect in a positive environment that builds honesty and trust; one in which we share successes and responsibilities. Stemming from our passion about our mission, and our commitment to excellence and high-quality work, we set ambitious, lofty — and achievable — goals for ourselves and our teams and set ourselves up for success. In our effort to be impactful and effective, we are always learning, changing, and improving. That means we take calculated risks, make mistakes along the way, and take the time to learn from them. We value hard work and productivity just as much as we value a flexible workplace that allows us all to have a life. At the center of CEP are people – the people whom we serve, the people whose voices we amplify, and the staff who are the lifeblood of our organization. We believe that a diversity of thoughts, experiences, backgrounds, personalities, and identities helps us think bigger and better, and enables us to more effectively reach our organizational goals. We are committed to a diverse, equitable, and inclusive work environment, where all feel welcomed to be authentic and contribute fully. We respect qualities and experiences that are different than our own. We share our approaches and their relative success publicly in order to openly exchange ideas with other organizations. We are committed to exploring the relationship between Diversity, Equity, and Inclusion (DEI) practices and funder effectiveness, highlighting those who incorporate DEI practices into their philanthropy. CEP’s policies and practices are inclusive, and staff are aware of how diversity, equity, and inclusion relate to the goals and mission of the organization. The pool of candidates, both at the onset of recruiting and also in final stages are diverse (i.e. by race/ethnicity, gender, sexual orientation, disability, socio-economic status, and geographically). Recruitment processes guard against the effects of implicit bias, and staff are equipped to evaluate candidates equitably. Everyone at the organization is given the opportunity and resources to succeed. CEP contributes data to conversations about DEI and highlights best practices through its work (its research, assessment and advisory services, conference programming, and YouthTruth). CEP shares what we are doing to incorporate DEI values, as well as the challenges and successes we experience as a result of our approaches. Through these efforts, we continue to support and reinforce a sector where all may learn from each other and improve.